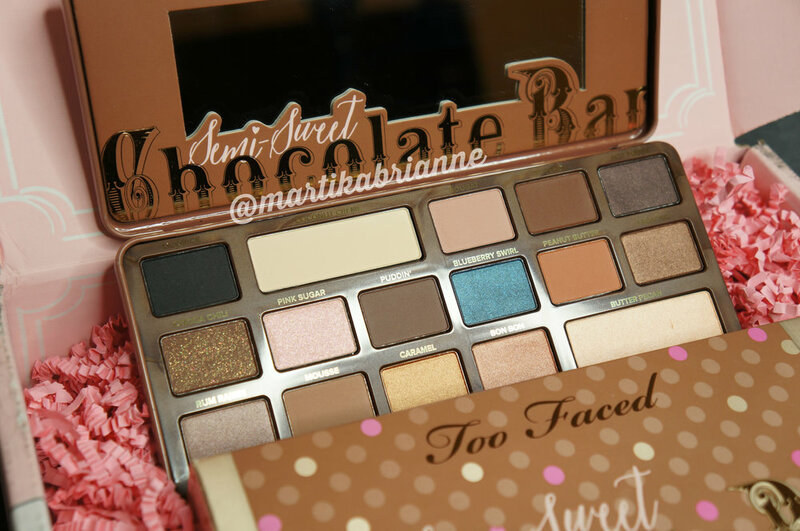 Too Faced really outdid themselves on this one... Without a moment to lose, the first 5,000 lucky shoppers (including myself) raced to the checkout finish line to purchase the BEST Black Friday deal on Earth - The Chocolate Bar Palette Trio for $97!!!! These literally sold out in hours!! Today, a Beauty Blogger's dream has come true: She received three eyeshadow palettes for the price of two that fills the room with the aroma of chocolate with a total of 48 different colors!!!! I thought I would give my first impression review of these gorgeous products as this is my first time buying these palettes, and ordering directly from their site! (Plus, I also took some pretty AWESOME photos)!! I was very surprised to see such an adorable box with a printed bow on top! It's by far the cutest shipping box I have every seen! I also appreciate the play on words here! It's very witty! (And who doesn't love confetti)!?!? Free Samples & Discounts? Yes, PLEASE!! 20% Off Discount Card +FREE Samples!!!!!!!!!!!!! I am literally in awe by these beauties from the packaging all the way down to the coco powder infused eye shadows!!!! I shall be making many tutorials with these palettes!! Overall, I am very impressed with these palettes and the way they were handled in the mail. I've come across a lot of broken makeup, but these palettes were untouched, which is a plus! Another thing i love is the packaging, and the creative effort that was used to truly personalized the experience of the consumer. These shadows vary from matte to shimmer and look very pigmented! I hope that is the car, because I love color, but not chalky color! If I have time, maybe I will do a swatch on these colors to show you how that look!! I'm am happy with this purchase; and in my opinion, this is the BEST Black Friday Deal that has happened to the makeup industry!!!! So far so good! I'll keep you updated! 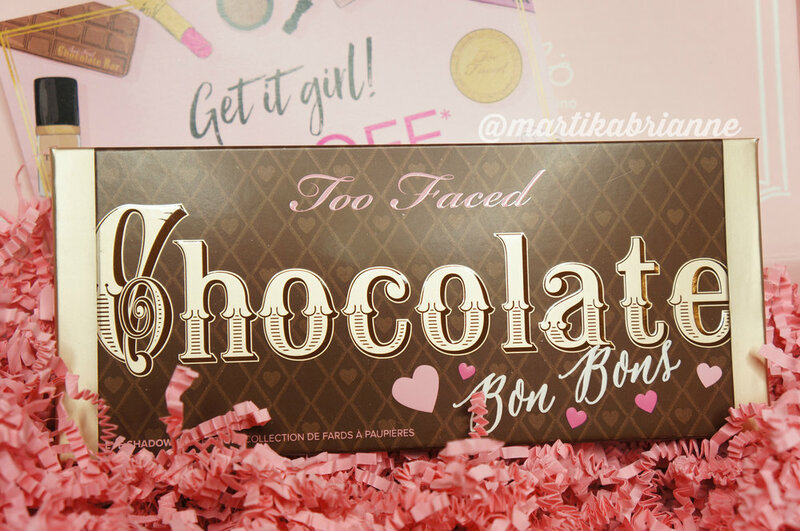 What do you think about the Too Faced Chocolate Eye Shadow Trio!? Let us know in the comments below! !